The whole hullaballo started with David Merrick. Yes, the "Abominable Showman" Bway's real-life Snidley Whiplash, who had by 1964 accumulated an astonishing record of shows, making as many enemies and enviers as he did hits and careers. Merrick had a keen eye and sound mind for spotting product; a good nose for choosing books and plays to adapt; a pioneer in turning movies into stage hits. And when not instigating his own projects, he didn't hesitate sponsoring others he'd pick up along the way. He was a regular poacher from London, importing historical pagaents, kitchen-sink dramas, French revues; he was the true Columbus of Bway's British invasion; the first to dare selling West End musicals regularly in New York. After 29 productions over ten years, Merrick came into the 1963-64 Bway season blazing. It was one for the books (which is why Peter Filichia is writing one), particularly for new musicals. It was even a peak for Merrick who produced no less than 8 shows that season; plays by Jean Anouilh, Tennessee Williams, John Osborne, Bertolt Brecht (with music by Jule Styne!) and the first stage production of One Flew Over the Cuckoo's Nest, which flopped even with Kirk Douglas starring. He also found time to mount 3 musicals and was initially attached to a fourth; in toto the best reviewed--even raved about--musicals of the season. First out the gate was October's 110 in the Shade; based on a '50s Midwestern, The Rainmaker, which Geraldine Page ignited on stage, and Kate Hepburn rode to an Oscar nomination. The musical was as close to an R&H show as humanly possible (it was even staged by Agnes DeMille) and got raves as did its star, Inga Swenson, but a drought-themed mise-en-scene, wasn't timed well with a nation plunged into mourning only a month later. For the score, Merrick, who liked picking up fresh talent after their initial splash, gave The Fantasticks boys: Tom Jones & Harvey Schmidt their Bway break. They may have written 110 songs getting the show right, and in retrospect this may well be the best score of the season. It certainly has grown in my estimation. Next to bat was Dolly!--which we'll get to--and on its heels a Bert Lahr carnival set in the Alaskan Gold Rush: Foxy--which tried out in Dawson City, Yukon (yes, the Yukon!) during the summer of '62 in a modest production ala' Little Mary Sunshine, that Merrick pumped up for Bway ala' Destry Rides Again. Lahr won raves and a Tony, but Merrick's attention was by then elsewhere. 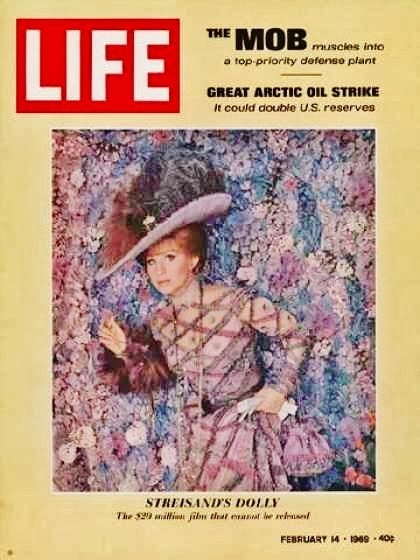 The one that got away, Funny Girl, had many transitions after Merrick left it to Ray Stark, but the Streisand key was partly his doing--after all he'd approved her Bway debut in I Can Get It For You Wholesale, tho he wasn't her biggest fan. 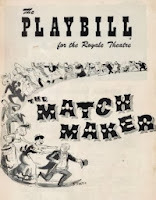 Merrick's first hit play on Bway was also his first import from London: Thornton Wilder's The Matchmaker, a reworking of a previously failed Wilder play, The Merchant of Yonkers, with the major adjustment of refocusing the leading character from miser Horace Vandergelder to the manipulative matchmaker, Dolly Levi. 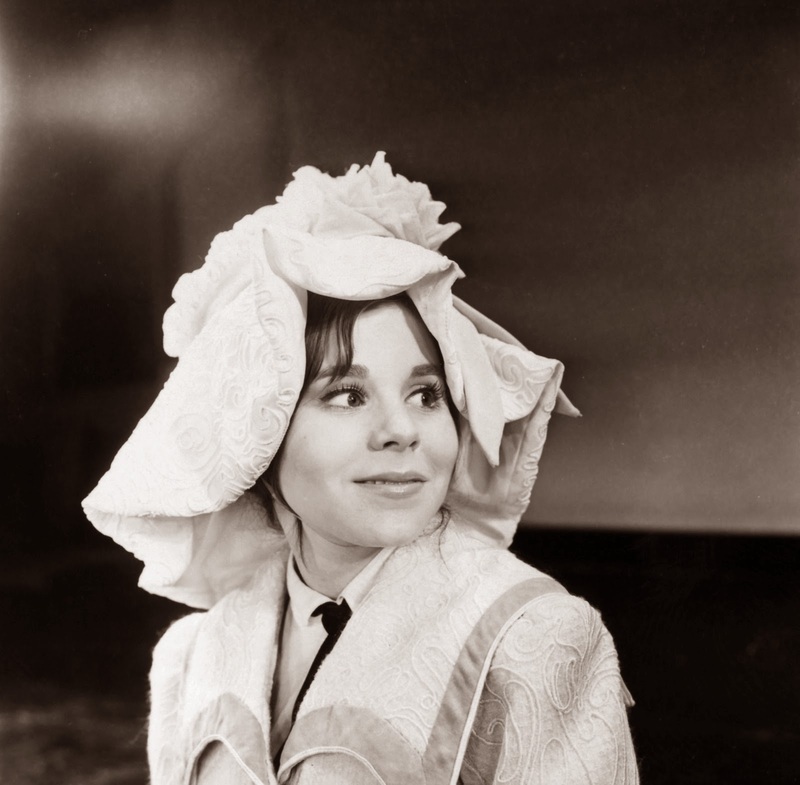 An American production directed by Tyrone Guthrie, starring Ruth Gordon (setting the precedent for lovable lunatics) opened at the Edinburgh festival in 1954, and transferred to the West End for a season's run. Merrick shipped it wholesale to Bway for a year's profitable run, and a movie sale. But from the start he saw its potential as a musical. By the mid-'60s his short-list of hired composers included Jule Styne, Harold Rome and Bob Merrill, whose resume (Take Me Along, New Girl in Town) was heavy on Americana, making him the more natural choice. Whatsmore Merrick had just produced Merrill's biggest hit, Carnival!, and hired its librettist, Michael Stewart and Director-Choreographer, Gower Champion, as well. But upon hearing several songs written over a weekend on spec, Merrick gave Jerry Herman (another Bway sophmore) the assignment. Jerry's Bway debut had been the Israeli-themed Milk & Honey, a modest success which left the promising composer fearful of being typecast an "ethnic" specialist. Dolly! blew that idea to dust. In the meantime, Merrill moved on to Funny Girl (as lyricst only--to Jule Styne's music); but still had his hand in Dolly!--providing, uncredited (but now widely known), the second-act opener, "Elegance" which some claim came from the New Girl in Town trunk, and "Motherhood," one of the show's few throwaways. Merrick was as ornery to his creative team as he was slavish to his star. He needlessly tormented his young composer (who nonetheless delivered what was needed) by dragging Merrill and Charles Strouse & Lee Adams to Detroit when the show was having birthing pains. It was the latter duo who pinpointed the missing ingredient; the widow Levi's stated declaration to rejoin the ranks of the living "Before the Parade Passes By." Herman ran with the concept and title, penning his own number, but Strouse & Adams, tho initially stiffed by Merrick for their contribution later got a modest stipend. It sharpened the focus on Dolly and ended the act on a high note. Never mind that we've actually seen nothing to indicate this woman has retreated from life--she runs around like a gadfly, known by one and all ("Call on Dolly...") the epitome of a busybody. But there is something quite ephemeral known as stage logic that defies reason yet gives the audience what it wants. Such was the case even more so for the lavish production number, "Hello, Dolly" (one of Herman's audition songs--which only later became the show's inevitable title) for there is no rational explanation for its existence. Songwriter Mack David sued Herman for plaigirism, claiming the song too similar to his 1948 tune, "Sunflower." A $275,000 settlement was reached rather than endure a trial, but Herman earned enuf from the song to retire forever, not least from its Louis Armstrong recording which unseated the Beatles 14 week run at the top of the Billboard chart--the only non-rock show tune ever to reach #1 since the chart began in 1955. Satchmo's Dixieland swing version took nothing away from Bway's production number to end all production numbers. Both were delightful; tho the latter comes close to beating you over the head yet wins you over instead--the melody is, after all, irresistible. Still it's a truly absurd, narratively irrelevant, completely bogus celebration, set to glorify a star performer above the character. Of course it sold the show like nobody's business. Herman wrote the score with Ethel Merman in mind, who by 1963 was done with long Bway runs, and passed. As time has shown there was no shortage of stars suitable for the role; virtually every Woman of a Certain Age was an able candidate. Gower Champion wanted Nanette Fabray--who seems a little bland for the alien creature Dolly became. According to Charles Nelson Reilly, Ruth Gordon, miffed she was never considered, sat front row center one night and glared at the cast, never once applauding. 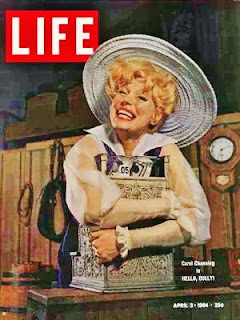 But there's little to quibble with the ultimate choice: Carol Channing--who found in this her role of a lifetime, cementing her status as a Bway Baby. She'd had a rocky career after her star-making role: Lorelei Lee in Gentlemen Prefer Blondes, and might well have remained a one-hit wonder. Her stint replacing Roz Russell in Wonderful Town was a fast fold; her Bway return as The Vamp flopped so quickly--one of only a handful of '50s flops that went unrecorded. An expanded nite-club revue, Show Girl was the best she'd managed since Blondes. Her wide-eyed personality was too large for most shows. You can't imagine her in She Loves Me or The Unsinkable Molly Brown--tho she might've been a fine Hedy LaRue or as Little Me. She was 43 when she took on Dolly, and then played thousands of performances, well into her mid-70s--touring like a presidential candidate; an old-time theatrical tradition that few continued into the modern era. Perhaps for good reason. On footage from the farewell tour she looks like an overstuffed automaton. Her timing is less comic than robotic, her vocals croak, the show creaks. From here comes the nasty and notorious, but apocryphal story that ends in "Corn!" Hearsay or heresy--you be the judge. Nonetheless, once upon a time Channing was the perfect ingredient for this imperfect show that became a perfect blockbuster. Dolly! also benefitted immeasurably from the prevailing mood of the nation. The show had just begun its tryout in Detroit when JFK was assassinated, and a rocky road to NY lowered expectations. But Champion spit & polished up to, and even beyond, the Bway opening in mid-January '64 (concurrent with the sweep of the Beatles' invasion). The result was a rapturous reception, arguably in excess of the show's real merits, but a welcome diversion at the moment one was badly needed. Yet no one hailed this a landmark in the evolution of the musical. It was a throwback, if anything, to a style and era beyond even the memory of Walter Kerr; made fresh by a staging so swift and efficient. Aside from a new identity beyond Lorelei Lee, Channing found herself de-facto Ambassador of Re-joining Life; her wide-eyed exuberance captivated audiences for 81 weeks on Bway and 74 on the road (in 28 cities) without a single unsold seat--setting new house records in 40 weeks in theaters across the country. (Grosses plummeted when Eve Arden replaced her in Chicago--only to rebound once Carol took the company back on the road.) The public loved Carol for the way she took in their affection, fueled herself with it, and reflected it back, magnified. There was an honest metaphorical resonance to "Before the Parade Passes By" at that time; a sign that it was OK to move on, to smile again, to laugh. Carol would take up the mantle of LBJ as well, supporting the re-election of our newest president with renditions of "Hello, Lyndon," the official campaign song--a feat only Irving Berlin had managed before with "I Like Ike"). 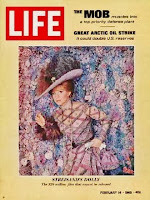 Channing didn't hang up her feathered hat until June of '67, by which time she was on the screen in Thoroughly Modern Millie--a film audition by any other name, and one that did her no favors. (Her catch phrase, shouting "Raspberries!" in lunatic glee, was especially cringe-inducing). And yet she got an Oscar nomination (of the snowball's- chance-in-hell variety); a likely sympathy nod for losing the Dolly pic. Many a Big Lady has done well with the role, but Channing will always own Dolly Gallagher Levi in a way no one else can touch. Still, my fantasy universe sees another, dare I say better, Dolly; one who'd just soldiered thru a flop only months prior; one who was conceivably available; and one who would, had she lived, been right for the film as well: an even more lovabale bubble-head: Judy Holliday. She's so perfect its hard to believe they never considered her. Or was her frail health too well known by then? Triumphant as Channing was, the thought of a Holliday Dolly tingles the imagination. Even so, Hello, Dolly! might have easily been a one or two season run (another Take Me Along or She Loves Me) were it not for Gower Champion's impeccable staging, a fluid pageant of tableaux vivants; a triumph of precision to match Swiss clockwork. It brought audiences to their feet. "Don't bother holding on to your hats," Walter Kerr raved, "You'd only be throwing them into the air, anyway." And so Champion is considered as much the show's "auteur" as Robbins is of West Side Story--for his staging is part & parcel of all subsequent professional stagings. But even this wouldn't have pushed the show passed a 4 year mark, when it was starting to fade with Martha Raye and Betty Grable at the helm. Here Merrick found another ace up his sleeve. 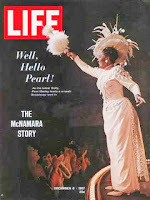 At a time of intense national racial disharmony, he put together an all-black company starring Pearl Bailey (who else?) and Cab Calloway (who were both perfect by the way) which began as a 4th road company in Washington DC, but in truth was more of a tryout, which after five triumphant weeks came in to replace the Bway company; and in a weak fall for new musicals, became the newest sellout hit all over again. Pearlie-Mae stayed for more than two years (while missing an astonishing 106 performances!) and after a brief and probably hilarious, if poorly attended stint with Phyllis Diller, the Big Lady, herself, Ethel Merman came out of retirement for one last shot at the show she first rejected. And here's where the Merm and I once breathed air together at the St. James Theater in NY on July 17, 1970 the 2,657th performance of Hello, Dolly! ; a memory strangely less vivid than a good many others from that first visit to New York. Merman carried it over the finish line past My Fair Lady, as the longest running musical in Bway history. A record that was short-lived as Fiddler on the Roof came fast on its heels to go even further. 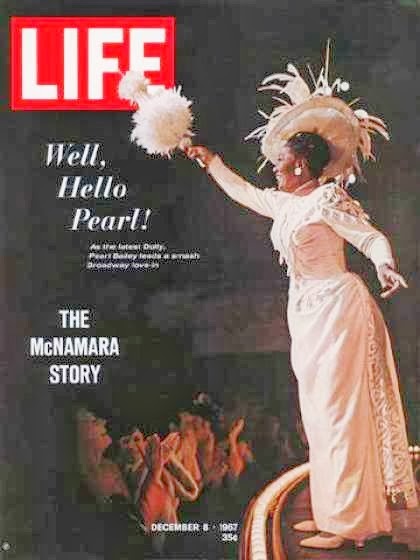 By 1975 in a brief NY revival Pearl Bailey used the text as a suggestion, literally stopping the show for a 20 minute chat with the audience during the title number. We were apalled. The musical is as easily hindered by its Star turns as enhanced by them. It didn't hurt that Channing was flanked by a truly stellar supporting cast. Her vis-a-vis, Vandergelder, was veteran comic David Burns, whose resume of musicals, The Music Man, Do Re Mi and A Funny Thing Happened On the Way to the Forum, made him a virtual lucky charm. As milliner Irene Molloy, Eileen Brennan brought her luminous, slightly looney Little Mary Sunshine personality; with Peter Pan's Tiger Lily, Sondra Lee as her sidekick, Minnie Fay. Instead of casting a traditional romantic hero as Cornelius Hackl, Champion wisely chose an oversized cartoon (like Channing--and subsequently the only other performer to get a Tony nom), How to Succeed's villian, Charles Nelson Reilly. And tiny Alice Playten, barely 16 years old, was Vandergelder's niece, Ermengarde--tho, regrettably, her clarion voice is nowhere to be heard on the OCR. Or so I always thought! until the libretto clued me into the single phrase where she joins Dolly and Ambrose to complete the second section: "But there's no blue Monday in your Sunday clothes." And there it is--pure as a bell. A rare trip to the downtown Los Angeles library sometime in '65 was when I first got ahold of the OCR's of Funny Girl, Fiddler and Dolly!--all at once, and all of which were strangely disappointing, initially. There was a lot of new music to digest, but Dolly! seemed almost too easily digestable. The title song was, of course, familiar to me already, and its largess was happiness to my 12 year old ears, but aside from one or two more highlights, I always fall short of loving Hello, Dolly! like I do other musicals. The score is rather spare, with just seven songs in the first act, and only four (plus a ballet--never recorded) in the second. Carnvial! had more tunes before intermission. Not that it's a matter of quantity. The show's other chef-d'oeuvre, "Put On Your Sunday Clothes" is one of my very favorite production numbers. It has real purpose and energy: the start of a journey, adventure, a train! Anticipation is an emotion that often exceeds the subsequent event. Songs of anticipation are often the greatest high--and this is among the best examples of musical nitrous oxide. I'll also give high marks to "Before the Parade Passes By," and "It Only Takes a Moment," an easy-going ballad, in the Irving Berlin manner; and maybe include "Elegance"--but the rest of the score is frankly second rate. "Dancing," is pleasant, but not really interesting (compare it to virtually any Rodgers waltz), nor is "It Takes a Woman" better than passable. And "So Long, Dearie" doesn't pack the wallop it wants, harking back to Bells Are Ringing's "I'm Going Back" (speaking of Judy Holliday). Some find "Ribbons Down My Back," lovely but I've never found it anything but dull--a feeling I have about most Jerry Herman ballads. He's a master of the show-tune I'll grant you, but ballads, at least for me, not so much. And do you think highly of "I Put My Hand In?" It does its job as exposition, but feels to me like a first draft to be replaced out of town--it was among the 4 tunes Herman wrote on spec. Of Merrill's two contributions, "Motherhood" is serviceable, "Elegance" is dandy. And that's it. Enuf for a hit, especially with the extended finale (a Jerry Herman trademark) reprising, not one but all the tentpole tunes. A hit this big at a time when Hlwd was rabid for Bway musicals, made for a furious bidding war. Whatever hold Paramount had (with its Matchmaker, film released in '58 starring Shirley Booth, with Anthony Perkins and Shirley MacLaine.) was relinquished, and Fox won the rights for $2 Million, plus. And then the two million dollar question: who will play Dolly? On stage Channing is wonderful, but on screen? Besides, she'd toured so far and wide, hadn't everyone already seen her? True her Bway successors, Ginger Rogers, Martha Raye and Betty Grable were all movie stars, and huge ones at that. But to audiences of 1968 they might as well have been Norma Desmond. More currently middle-aged were Doris Day, Debbie Reynolds, Lucille Ball, Mitzi Gaynor, Janet Leigh--do any strike you as a Dolly Levi? Of course there's Judy Garland (who could've been wonderful, in the comedy as well as the songs) but she was a ruin by then. So who needs musical talent? It didn't hurt that they dubbed Deborah Kerr and Natalie Wood. Why not just a movie star? Wasn't that the trend anyway? How about Elizabeth Taylor? Or Susan Hayward, Ingrid Bergman, Bette Davis, either Hepburn? You see the problem? Where there was such a long list of Bway broads, the math wasn't the same in Hlwd, quite curiously. Still no one expected the stunt casting Fox finally revealed: 26 year old Barbra Streisand, who was on a stratospheric career trajectory, even before the release of Funny Girl. Gambling $20 million on The Great Semite Hope was a stunner during the Julie Andrews bubble--but color her anything, Barbra had yet to disappoint in any field of endeavor. 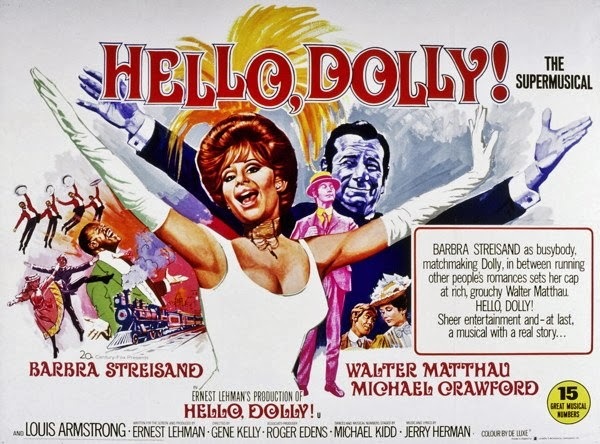 Having adapted both West Side Story & The Sound of Music into cinematic originals, bettering their Bway successes, screenwriter Ernest Lehman was rewarded with position of lead producer on Dolly! as well as scribe. Tho produced at Fox, the picture was staffed with plenty of former MGM talent; Roger Edens as associate producer; cameraman, Harry Stradling; musical director, Lennie Hayton, and above all, Gene Kelly--whose directing credits include what many consider the best Hlwd musical of all, Singin' in the Rain, as well as On the Town--tho, arguably these owe more to the eye of his co-director, Stanley Donen--Why didn't they bring him on as well? Like Kelly, Gower Champion had danced in a number of Hlwd films but he couldn't catch a break as a director in Hlwd, even after his streak of Bway hits made him golden on The Street. Given the clockwork farce structure of the libretto, there was little Lehman could do in rearranging songs or scenes, tho he reaches back to Wilder's play for touches here, and simplifies even more of Stewart's reductive book there--an editing rather than writing assignment. (His previous film credit was the "screenplay" for Who's Afraid of Virginia Woolf?) One change, however, was to make Dolly out as even more manipulative by intentionally sending Cornelius & Barnaby to Irene's hat shop--something they pop into by accident in the original. Maybe because so many musicals culminate in the courtroom for resolution--and Dolly! is yet another--Lehman dispensed with arrests in the Harmonia Gardens melee, and let the lovers declare their emotions under gaslight lamps in the backlot Union Square--the most radical revision to the musical. With less structural change from the stage, the key to remaking Dolly! for the screen was the wild card of Streisand. The script ignores her youth, but not her celebrity or status as pop vocalist, adding a new ballad tailored to her style, but ludicrous for her character; and meaningless in sentiment: "Love is Only Love." She even begins by intoning "Horace, Horace Vandergelder," in virtually the same manner she crooned over "Nicky, Nicky Arnstein." The script makes great pains to layer in Dolly's fabled past with Harmonia Gardens, to justify what is even more glaringly evident on screen than stage: how absurd the number is in the context of the story. Dolly speaks of married bliss when she and Ephraim would win tropies for weekly Polka contests, ten years prior. Of course Lehman had to cut the line, but don't we still wonder just how young was she married, let alone widowed? One also wonders where Herman got the idea for the song, as Wilder's play indicates nothing of Dolly's personal connection to the eaterie. And yet that proves utterly irrelevant because the damn song supercedes the integrity of the piece--bulldozes over it, you might say, making it a more entertaining musical, if not a better one. For Vandergelder, Lehman and Kelly chose Hlwd's reigning grouch, the newly-made leading man, Walter Matthau, whose age wasn't too glaring a factor opposite Babs--22 years her senior--tho his other movie released simultaneously, Abe Burrows' Bway comedy, Cactus Flower, paired him with 53 year old Ingrid Bergman. The rest of the pic's cast was as lackluster as Bway's was inspired. Danny Lockin and E.J. Peaker make an adequate Barnaby & Minnie. Peaker is perky, and Lockin has a sweet smile. But Marianne McAndrew has neither voice nor presence to justify a role played previously by Eileen Herlie, Shirley MacLaine and Eileen Brennan. Her restrained acting recalls the coy mannerisms and wooden line-readings of Vera Ellen. And then there's the always inexplicable Michael Crawford--third-billed above the title, no less!--as Cornelius Hackl. His washed-out looks and anemic personality almost makes you crave Tommy Steele. His squawky voice makes you consider what a wonderful singer Charles Nelson Reilly is. Crawford's endless facial contortions of abject terror (already overused in A Funny Thing...) are an endurance test--ours. Who would've guessed his career wouldn't peak for another 20 years--and then as Star of an International Phenomenon. Another future Player is Tommy Tune, here in third-tier support as Ambrose Kemper, at the time an unfamiliar 7-foot freak who seemed to throw the dance corps out of balance; but now looks unmistakably. . . well, Tommy Tune. His acting is surprisingly professional--his extreme youth and Texan veneer suggest today's Jim Parsons. But who the hell is Judy Knaiz?--plucked from, and immediately hurled back into obscurity. As "Gussie Granger," an actress Dolly hires to impersonate the invented Ernestina Simple, she seems utterly miscast. To be honest, I've never seen a rational interpretation of this role--which to me suggests a dowager, a Margaret Dumont type. Kelly seems to want to make her an uptown Lucy Schmeeler (On the Town's Alice Pearce--by now better known as Bewitched's Mrs. Kravitz) I'm not sure I get the act Knaiz is putting on to off-put Vandergeleder; but then again it makes sense in context of the 15 seconds of instruction she got from Dolly in the middle of a parade. 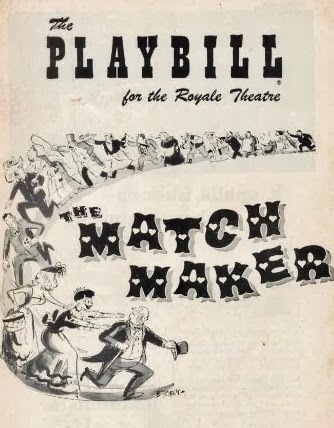 The Matchmaker's climax is the Harmonia Gardens sequence; the collision of all parties, but Dolly! adds so much extraneous entertainment up front--first the "Waiters' Gallop," then the title song to top it--that the farcial doings afterward are more exhausting then enjoyable. (Champion even had another number in the sequence, part of a Polka contest called "Come and Be My Butterfly" that was cut after opening night--which to my knowledge has never been recorded on any Herman compliation. Having shown his aces already, there was really nothing Champion could do with a Polka contest, except use it to dance off the scene into the courtroom. Instead he worked a priceless piece of stage business in: having Carol eat a chicken dumpling dinner (made of cotton candy until she became hypo-glycemic) obliviously thru most of the melee, and continue thru the scene change until called to the stand in the courtroom, already in progress. (A gag that invited stretching--which Channing--and no doubt others--indulged to epic proportions by the end of her tours.) The courtroom scene aside from being funny, brief, and to the point, has another punchline: Dolly as counsellor-at-law, and cousin of the judge. Another spot to show her reach. Which begs the question why Lehman abandoned it. He also discarded Wilder's canard of having characters speak directly to the audience (as in Our Town and The Skin of Our Teeth as well.) In favor of a more naturalistic approach, I suppose, but translating the same information into scenes of dialogue isn't much of an improvement. Fox's $20 million dollar film begins without the now-standard Roadshow overture or fanfare (after the 20th Century Fox logo), with a still of the fancy backlot set: "New York 1890," that wipes from top to bottom into live-action. Then a sequence right out of MGM (circa 1947) as the camera zig-zags between footsteps of the populi until arriving at Dolly's. We know because the song begins, "Call on Dolly..." as we follow them down the street. Onstage she was revealed from behind a large newspaper; here we get the closeup: a slow turn to camera from on top a double-decker coach: here she is, folks! Here's Babs--er, Dolly--as you've never seen her before! And as she begins by proclaiming, "I have always been a woman who arranges things..." you can't help but think, Really? Always? That long! The familiar verse doesn't lead into "I Put My Hand In," but a Streisand re-boot from Jerry Herman, "Just Leave Everything to Me," a more uptempo tune, with some odd claims. How she can get a law abolished is open to question, to say nothing of getting a marriage consummated (Dr. Ruth Levi?). On concluding this nervous opening, we board a train, the credits begin and we get an honest multi-song overture that the show never had on Bway because Champion was a notorious hater of overtures. Is it only because I know the story so well that I find the expositionary scenes tedious? I can watch scenes of sparkling dialogue or screen chemistry over and over. It's just that here there's neither and the people are not very interesting. Vandergelder bellows, Hackl squirms, Ermengarde wails, and its on to the next song: "It Takes a Woman" in which that sinking feeling begins, where hope for some genuine transcendence evaporates. Enter Babs--er, Dolly--and no matter how many times we've seen it before, we watch and assess her performance. Because we know its a gamble. And being so, detracts, by making us an unwitting jury Here's how she strikes me now: like the cat that ate the canary. She comes across like the college Star-to-Be vamping thru the Senior musical in a role decades beyond her. It would be akin to Bette Midler playing, not one of Tevye's daughters, but Yenta in the film of Fiddler on the Roof. Streisand's youth is a real thorn in the credibility of this Dolly! (Now that she's 70 she wants to play Rose, 20 years her junior. I'd much prefer a remake of Dolly! for TV, something more akin to the show's modest scale--are you listening, Meron & Zadan?). 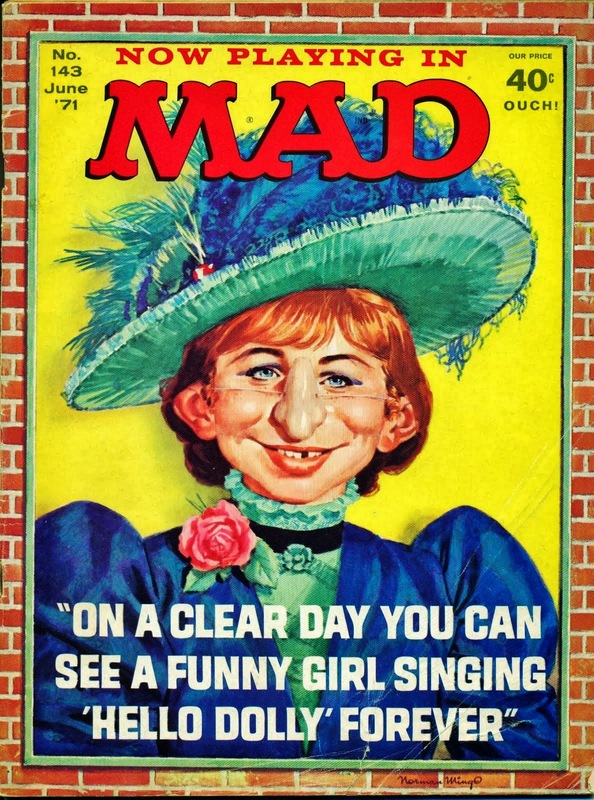 Nonetheless Babs displays some sharp comic timing--tho she relies too much on old Fanny Brice mannerisms, or takes on a startling Mae West delivery when she reaches for some purchase on maturity. She would find her own comic voice far better a few years hence in What's Up Doc? But her musical instincts, independent of character, are stunningly professional. I was especially impressed with how well she moves. She romps thru the title tune with a pleasure rarely shown. There's amazing grace in her movement, her arms expressive as a ballerina's. Despite the absurdity of Dolly's fame at Harmonia Gardens, the song is given its due--and in ways even surpassing the knock-out Bway staging. It also contains the film's one solid gold moment: the pairing of Babs and Satchmo on but a single verse; which feels more like two titanic pros in duet on a blissful TV special than anything related to reality in the world of an 1890s yenta. It now remains a show-biz artifact. Speaking of which, scenes from the movie would become totemic artifacts to a robot in a hugely popular 2008 Pixar film, WALL-E, who found comfort in its alien optimism. 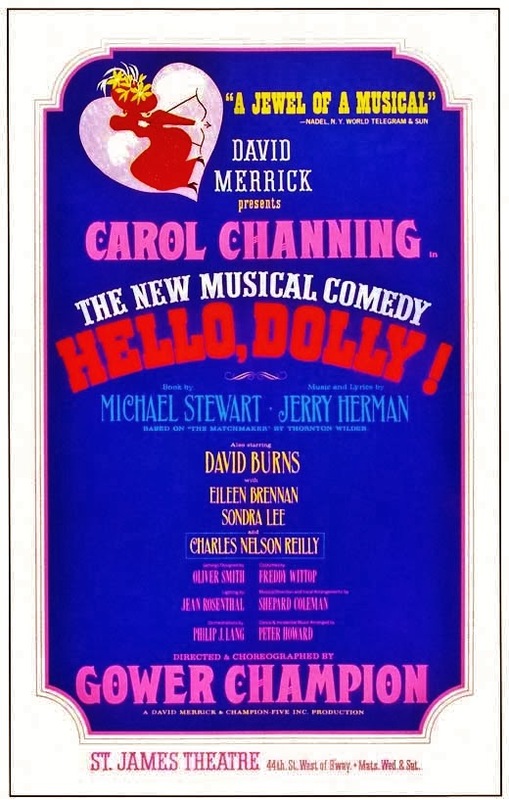 (And was presumably as alien to its audience, most of which wouldn't know Hello, Dolly! from Hello Kitty.) Conspicuously, missing was Streisand, as the chosen moments were bits of 'It Only Takes a Moment" and "Put on Your Sunday Clothes"--that featured, e'gads, Michael Crawford! Of all the cultural detritus to survive, imagine: Michael Crawford. Talk about a dystopian future! But a larger problem in Dolly!, as becomes even more apparent with the addition of Irene and Minnie into the proceedings, is that except for Mrs. Levi, nobody has much to offer as a character; they're either cartoons or two-dimensional. And that I believe is why Hello, Dolly! has always felt second-tier to me. The citizens of River City, Iowa or Sweet Apple, Ohio are so human, so individually dimensioned, that I can watch them repeatedly; even discover new layers. There's nothing further to find in the folk who populate Dolly! Which is, I suppose, beside the point. Champion made us look at the show as a madcap carnival--an 1890's confection in 1960's wrapping. Translating that to the screen only renders the people more hollow than before. Dolly isn't exactly a taxing singing role, so Lehman pumped up Barbra's quota, giving her a reprise of "It Takes a Woman," in her patented lullaby rendition of uptempo tunes. She does the same on "Before the Parade..." (What's with this gal and parades?) before going full blazes among the masses in Fox's biggest crowd scene since Liz Taylor was carried into Rome. (The New York set remains to this day at the gateway of the Fox lot in Century City. Having walked thru it on a several occasions during the '90s, I was strangely unaffected by its craftsmanship. That's what comes from too much Disney-land). The parade scene is effective, tho a bit awkward, stopping in its tracks for Dolly to issue instructions to Horace and Gussie, greasing the wheels of the narrative for the second half, before firing up the final verse in a widescreen crane shot; thumbing its nose at that other puny tugboat finale. But you can forget the heat of romance that clung to Funny Girl. 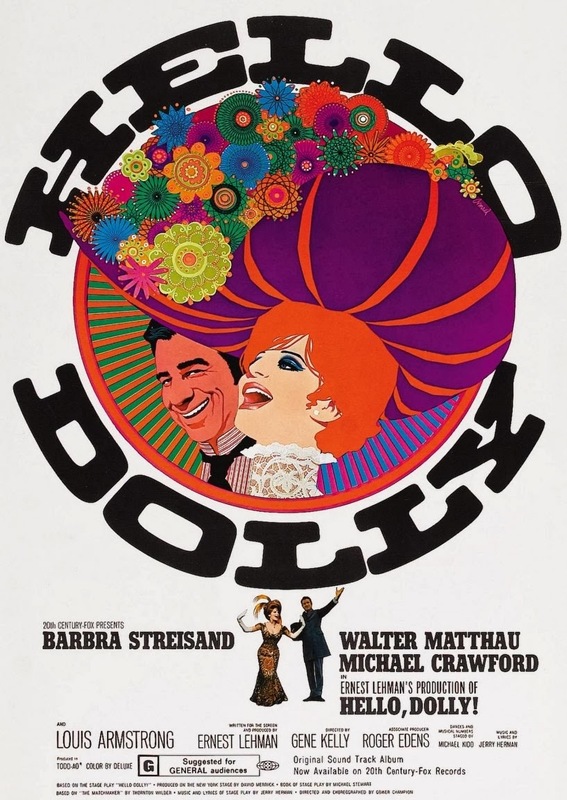 There's no chemistry between Matthau and Streisand; you don't get what she remotely sees in him (besides $$), nor does she come across as anything less than annoying to him--and not in a lovable way. They're oil and water; not a couple headed for the altar. Look how she stumbles with "So Long, Dearie," racing thru it like a house afire, sailing off in hansom cab. It feels like a repeat from one of her TV specials--pulling away in a cab from Bergdorf's, maybe--even if it wasn't. Matthau can only stand there in deadpan disbelief. Tho she initiates the number, her contribution to "Dancing" is really peripheral, as intro to Michael Kidd's first ballet. Kidd, who ironically, was the most cartoonish of Bway's choreographers (see: Guys & Dolls, Li'l Abner) was anything but on this, for what, in essence, was another cartoon. Was this under the direction of Gene Kelly? As the musical sequences are by far the better parts of the movie, is Kelly to be credited for getting them on film, or simply Kidd, who has the talent to reinvent all of Champion's numbers, leaving nary a trace of Gower. Take "Sunday Clothes": the overtly stylized tableaux on stage were breathtaking, fastiduously designed in a spectrum of color as well as movement. 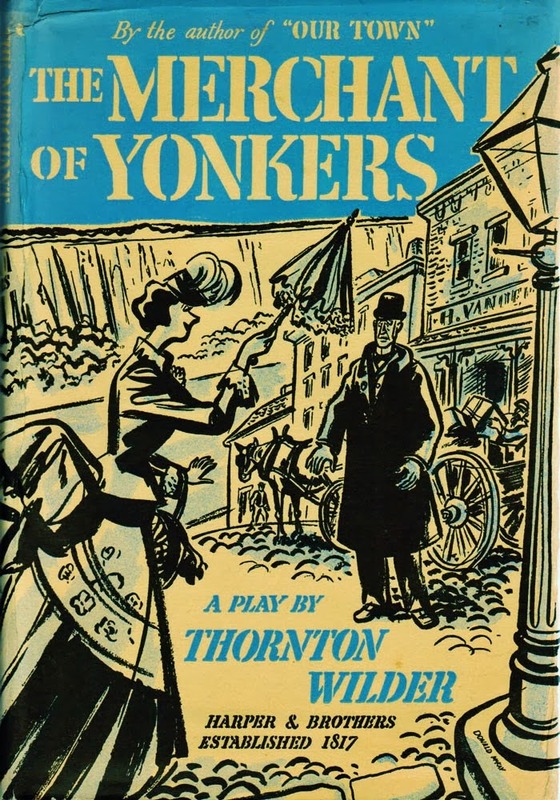 But on screen it's another animal; mostly a montage of scenes around Yonkers, culminating in the station then on board train, the folk stepping lively, and the song a peach. The final refrain, after "All Aboard," is genuinely rousing. Kidd finds a variety in movement on a crowded coach, and Babs takes over from Dolly. There's an element of fire in her punch up of the bridge: "To town we'll trot/to a smoky spot/where the girls are hot as a fuse," that's rather endearing. It's also amusing to see the group lurch awkwardly from the caboose as the train starts rolling; but I find the helicopter shot at the end strangely anti-climactic. I always find the scene at Irene Molloy's hat shop a trial; the bumbling introductions between characters; the cliched hide & seek farcial doings; the preposterously false explanations. It frustrates me how obvious all the gambits are; it makes everyone look idiotic not to see thru them. But it's a bridge too far, later, when Irene admits she knew their escorts were penniless from the start--when nothing in her behavior makes that remotely believable (a fault more with the actress than the text.) Kelly's direction is leaden in the book scenes; he isn't able to bring out any chemistry among the players, nor comic pacing. Each act is but 75 minutes, but feels longer. The movie, like the show, ends with a medley of reprises--a Jerry Herman tradition--that somehow always felt a bit cheap to me, tho certainly made its intended impact, planting ear worms in the audience as they depart. And when Carol, or Ginger, or Mary, Martha, Betty, Pearl, Phyllis or Ethel cooed their final response: "Wow, wow, wow, look at the old girl now," they were recapping a career in the ultimate Big Lady tribute. But when Babs winks at the camera in the film's final reprise, it's less an I'm Still Here-like declaration than a taunt at all the popular girls in high school--look what this Brooklyn meeskite managed to pull over on those Hlwd moguls. and a lovely environment to be sure. A bit more glaring is the Molloy's millinery shop, with its 20-foot ceiling and absurdly large, sparsely mechandised showroom. You immediately recognize its purpose is to serve as a dance floor, harking back to the Fox's fantastically unrealistic sets from their '40s musicals. Costumer Irene Sharaff, another giant among designers, made this her 9th filmed Bway musical, and her last. Her frocks strike me as rather dull this time around, except perhaps for Streisand's beaded gown for Harmonia Gardens; a real stunner that fits her figure beautifully, and moves with a weighted grace. Cameraman Harry Stradling was Streisand's personal screen image-maker, shooting her first four films. Had anyone since Marlene Dietrich under Von Sternberg been so carefully photographed at the start of her film career? These departments were all Oscar nominated, along with the Film Editing, Sound (which by today's standards is actually dreadfully mixed), and Musical Scoring by Lennie Hayton & Lionel Newman. But it's quite telling that not one of all the new tunes written by Cy Coleman, Alan Jay Lerrner, Leslie Bricusse and Jerry Herman for their respective screen musicals this year made the short list of Oscar nominated songs. It wasn't for the surfeit of great candidates, unless you count the title tune from True Grit, or another from Rod McKuen called "Jean," among them. Hello, Dolly! also nabbed the Big Kahuna: a Best Pic nomination, a surprise only in the general consensus of being undeserved. But Fox is a big employer, with many voting members of the Academy. At least this wasn't as embarrassing a nomination as Doctor Dolittle or Three Coins in the Fountain. The movie, finished and ready for release in '68, became something of an albatross for the studio, which anxiously awaited some return on its $20 million dollar investment. But by standard contract the film was prohibited from exhibition until after the Bway show closed. No one expected Merrick's gambit with Pearl Bailey to extend the show's life another 3 years, and two further replacments. But Fox grew impatient and a deal was reached to release the movie at years end of '69--a full year before closing on Bway. The experiment proved no discernible impact on the stage show; and thereafter the ironclad practice of waiting post-Bway was forgotten. The fear of competition was proven so unfounded, the reverse was discovered: a film could fuel renewed interest in the stage original. Therein lies the only aspect of the movie that was in any way influential. The Roadshow opened at the Rivoli on Broadway, December 16th with a $5 million advance. Funny Girl was in its 66th week at the Criterion still on hardticket--it would last 72 weeks, Dolly! managed 27. Eventually, the movie earned $15,200,000e in film rentals, and was the #6 pic of 1970--and yet because of its cost was considered a flop. (Tho allegedly, it eventually broke even). But Midnight Cowboy was the movie of the year; as was Butch Cassidy and Easy Rider, and Bob & Carol & Ted & Alice, The Wild Bunch, I Am Curious (Yellow), Alice's Restaurant, Goodbye Columbus, Z. That was the zeitgeist. Dolly! felt like the movie you take your Baba to. Not that there's anything wrong with that. But after Sweet Charity, Paint Your Wagon, Goodbye Mr. Chips, Finian's Rainbow and Star! ; the writing was on the wall. The '60s were rushing to a confusing close as I turned 17 in December. My last year in high school was spent with my few new friends (after moving from LA), with whom I could share my musical taste unabashed. Tho I was also opening up to more contemporary music. That fall I was probably more obsessed with Bock & Harnick's tryptich musical, The Apple Tree than anything else, and in particular the third, and most oft dismissed act, Passionella. A film class at school gave me license to make a home movie, and I set on the far too ambitious task of attempting a Passionella, lip-synched to the album, feebly coordianted between a Super 8 camera and tape recorder. We recruited a popular teen beauty to play the chimeny sweep-turned-bombshell, and exploited the nerdiest frizzy-haired geek as the fairy Godmother; and had a whale of a time making it. But editing was disastrous and we showed the final product in class to baffled silence but for our own private hilarity. The film survives in a can held together, literally, by scotch tape. As a sort of wrap-party outing, we bought advance seats to Hello, Dolly! at the Century 24 theater in San Jose for December 23rd. My best friend, Bill, made dinner beforehand at his home and we set out, not entirely unlike the quartet in "Elegance" for our night of culture. Our mania for Streisand was in full flower then, and we delighted in her Second-Avenue-Rose Levi, even tho it was at odds with the show itself. Like most, we ultimately felt it a forgivable disappointment, but a disappointment nonetheless, which pretty much kept me from return visits over the decades. I'd only seen it twice more, on TV, before returning to it now. My intial opinion was unchanged, but after several more viewings I'm feeling more charitable toward the pic. It's a bit of a flawed white elephant--certainly of a kind they don't make anymore. But to be fair, Hello, Dolly! is much more of a stage construction than at first obvious. It doesn't naturally suggest cinematic qualities. That they (and primarily Kidd) found ways to work out the show's highlights on screen is to their credit. But the whole is much lesser than some of its parts.